The Perfect ElkArte Hosting Solution. When you run a forum, you want it to load as fast as possible. You don't want your visitors to deal with a slow loading forum. Choose the high performance Elkarte Hosting provider. Choose Webhost Berlin where your forum comes hosted on our blazing fast Business Server platform. You can even host on our Cloudflare Servers featuring much faster page loads compared to competing Elkarte Hosts. Fast ElkArte Hosting Rich with Features! Setup your ElkArte software with a single click using Softaculous in your control panel. It couldn't be easier or faster to get your site up and running! You'll automatically get an email notifying you when a new ElkArte version becomes available. You'll be able to log into your control panel and update your ElkArte install with a single click so you get the latest features and the most secure settings! Do you have any ElkArte Hosting questions? You're in luck! Our 24/7/365 Support staff is standing by to help! Our friendly and knowledgeable team can tell you all about our Web Hosting services including how you'll get up and running fast with our easy 1-click ElkArte setup. Our servers are fast. They're also dependable. After all, what's the point of running your forum if your community can't even access it because you have to deal with downtime. Your ElkArte forum is hosted on an ultra-reliable Webhost Berlin server backed by our 99.9% Uptime Guarantee. Try our solutions completely risk free thanks to our Money Back Guarantee. Get started now! 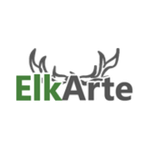 ElkArte is a high powered forum solution loaded with Features to meet the modern needs of today's online communities. Your users get the benefit of auto-saving their posts as drafts. They can also embed videos with YouTube, DailyMotion and Vimeo integration. ElkArte uses the best in anti-SPAM measures so your visitors don't have to deal with a forum loaded with junk posts. Your ElkArte site even includes responsive themes so your forum will look attractive regardless of the device it is being viewed on. Running your forum is also filled with benefits including dragging and dropping features within the management panel for advanced customization.